Gonzalo Higuaín's move to Chelsea is reportedly edging nearer, with the striker set to be absent for Wednesday's Supercoppa Italiana final against Juventus. After weeks of growing speculation over his future with Milan, it was suggested Chelsea had made the Argentine their number one target in the January transfer window as they look to add to their striking options. Now, journalist Fabrizio Romano has ​tweeted that Higuaín will not start in the final on Wednesday afternoon, with talks continuing between the two sides over a loan agreement. In a further indication of a possible move, ​Higuaín was conspicuously absent from the team photos that were taken of the ​Milan side with the Saudi Arabian prince Abdulaziz bin Turki Al-Faisal, ahead of the game in Jeddah. ​CalcioMercato report that whilst the club was contacted over the striker's absence and assured it was due to the 31-year-old receiving therapeutic treatment, question marks over Higuaín's future persist and the 'signal given is anything but positive'. The report adds that the Rossoneri have currently intensified their pursuit of Genoa forward Krzysztof Piatek in a bid to secure Higuaín's replacement, and are ready to offer a 'financially-attractive loan deal with a compulsory purchase option'. 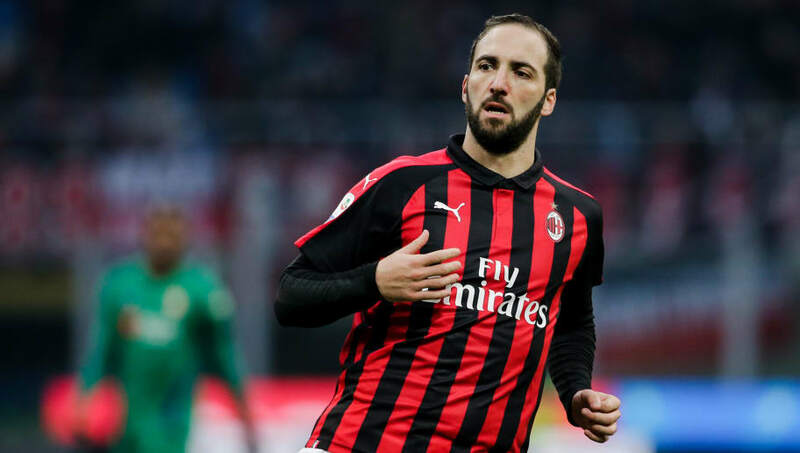 After suggesting last week that Higuaín had his head turned by the prospect of a move to ​Chelsea, Milan boss Gennaro Gattuso back-tracked on his claims and insisted that the striker had not asked to leave the club. He said (as quoted by ​The Independent): "I hear a lot of rumours on Higuaín, but he is training well, he is happy, with his teammates, he is happy with everyone. "We need to understand what he wants to do, how to fix this matter. "Either he is a great actor, but I don’t think so. I see him inside the project, he gets on well with all the team. He is always joking. Sometimes he is like a radio, he never stops.